Medium-volume production solutions for assembled products you can hold in your hand. Mikron EcoLine is based on the use of standard modules which offer flexibility and modularity. 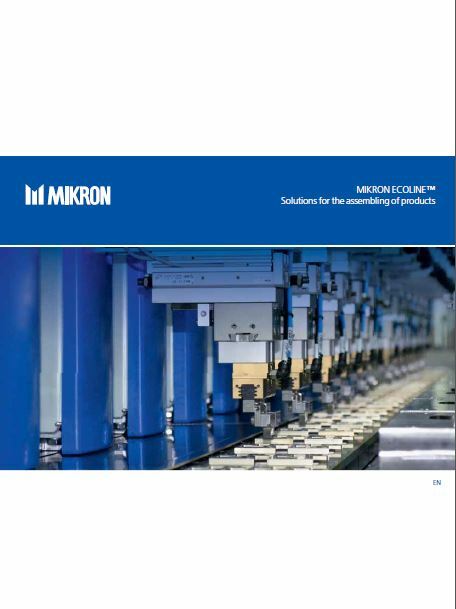 The Mikron EcoLine is available in single module and double module base machines. These machines can be linked side by side or back to back to optimize the layout for the production facility. 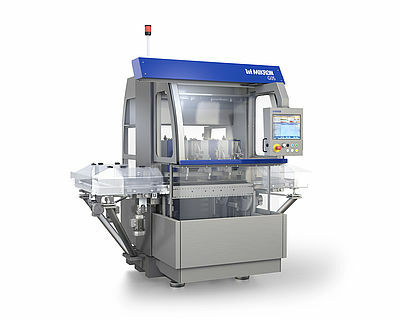 The primary motions of the assembly module are cam driven, thus guaranteeing perfect synchronization between the working units and the pallet indexing mechanism. Each assembly step is followed by a systematic check to ensure continuous and consistent quality. The combination of manual working stations and automatic modules allows for progressive investment from pilot line to fully automatic line.